With various sources claiming different stories, if the Trump administration has actually considered the extradition of Fetullah Gulen, this would be a game changing move. 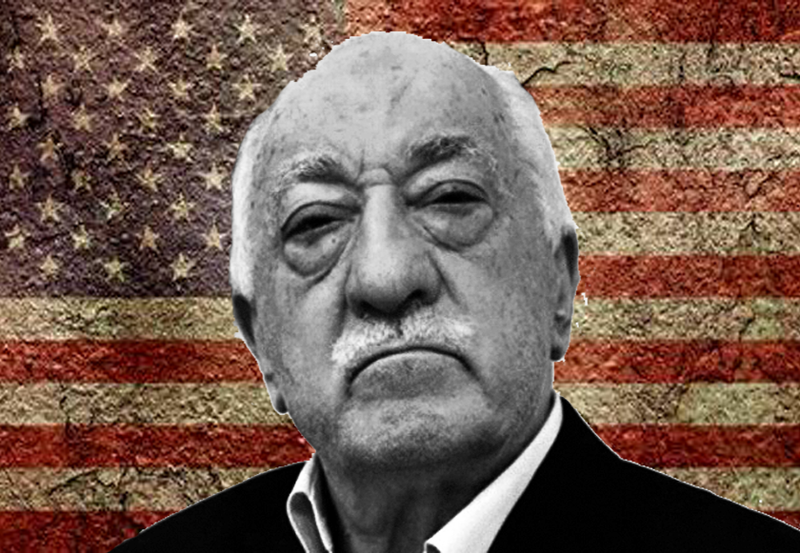 According to a recent NBC News report, the White House is looking for ways to extradite Fetullah Gulen, the leader of FETO, which plotted the failed coup attempt on 15 July 2016 in Turkey, which left 250 victims dead and more than 2,000 injured. According to the report, the “Trump administration officials asked federal law enforcement agencies to examine legal ways of removing” Gulen. The Justice Department, FBI, Homeland Security Department and naturally the White House, are all reported to be involved in the process. Now you might be thinking that this was denied by the U.S. administration, as on Friday, the Justice Dept denied any potential extradition. This in itself was unusual, as it’s not typical for the Justice Department to comment on matters pertaining to potential cases of extradition. However, the fact that something like this has been on the agenda this week was quite serious. The initial report by NBC News suggests that the extradition of Gulen could take place in order to ease Turkey’s pressure on Saudi Arabia in regards to the Jamal Khashoggi murder, which brought Saudi Crown Prince Mohammad bin Salman to the forefront as a brutal murderer. As expressed in the report, this is an option, but could also be false. Hence, the focus here isn’t on the language of the report, which describes Gulen as an “Erdogan foe,” and an “exiled cleric,” nor is it the link with the Khashoggi case. Rather, Gulen’s extradition is far more important than any of these. With various sources claiming different stories, if the Trump administration has actually considered the extradition of Fetullah Gulen, this would be a game changing move. For over two years, the U.S. has underestimated the significance of Gulen for Turkey. It’s as if the U.S. administration doesn’t care about hosting the individual responsible for Turkey’s bloodiest coup ever. What annoyed the Turkish public and the politicians as well is the perception that the U.S. was behind the coup attempt. There seemed to be no other explanation for why a capable state like the U.S. would host such a most-wanted terrorist despite its ally’s persistent requests. If the extradition process was to take place, the Turkish perception of the U.S. would take a new turn. As for my own part, with all these different stories in the media, I’m still having trouble in understanding why the U.S. would want to extradite Gulen after all the damage done to its relations with Turkey. Once he returns to Turkey, Gulen will eventually inform the Turkish authorities on his foreign connections. After all, the reasons for the inquiries over him before the coup attempt were more about the spying activities of his organization in Turkey. It is impossible for an organization like FETO to maintain its network in such an effective manner without support from outside. If the U.S. were really to extradite him, this would show that the administration is not afraid of what Gulen would spill during his questioning by Turkish authorities. This will give back the U.S. the credibility it lost within the Turkish public opinion and decision makers. The U.S. administration has underestimated the significance of Gulen for Turkey. It’s as if the administration doesn’t care about hosting the individual responsible for Turkey’s bloodiest coup ever. Nevertheless, there must be a reason why the potential extradition of Gulen was high on the agenda this week – 2 years after the failed coup attempt. It’s hard to figure out why the U.S. has insisted to protect Gulen for so long, and then suddenly various rumors emerge about the administration wanting to extradite him. When taking this development into consideration with the recent bounties on the PKK’s top three leaders, one does ask whether the U.S. is reformulating its policy with Turkey. While the debate on Gulen’s extradition and the U.S. listing three PKK terrorists on the Rewards for Justice Program will remain live, we’ll have to wait and see if any concrete results come out of these steps. As the U.S. pushed Turkey away with the hope that coercion will make Turkey realign its foreign policies in harmony with U.S. interests, Turkey has searched and found new channels of cooperation in the international arena. Such cooperation channels with the European countries, Russia, Iran, and Qatar showed that the coercion is not pulling Turkey to the U.S. orbit but pushing it further away. Hence, if the U.S. does take any positive move in helping Turkey fight FETO, this could be interpreted as a way of compensating the damage caused to bilateral relations between Ankara and Washington. While the debate on Gulen’s extradition and the U.S. listing three PKK terrorists on the Rewards for Justice Program will remain live, we’ll have to wait and see if any concrete results come out of these steps. If they do produce sincere results, this will reflect itself as an unrepresented boost in relations between Turkey and the U.S.